I agree! It's amazing just how easily students 'get into' their writing when it's a given that they will write regularly. I find my students energised to write when I've shared my love of writing and the joy of finding just the right word in our shared writing. Love this -- "writing begets writing!" So true - it does make a difference when you are truly engaged in the process. How can we duplicate this in classrooms? This is a really important idea to explore. How can we get our students invested in the process and thinking more about different writing projects? Lots to think about. Hope your ride home was easy! Choice and voice play into that "writing begets writing" in my mind! Students are still being given tooooooo many prompts to write about in too many classrooms across the country. I agree that writing is easier when writing on a regular basis. 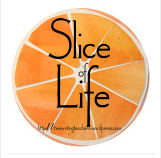 I used to have lists of topics and several drafts started during the March Slice of Life Challenge - ever fearful that I would falter and (gasp) no topic would surface for the day. That's less of a worry now. . . but maybe that's a false sense of security. An overconfidence that my trip me up in the future! Beautiful post! I totally agree. I felt that way after my first month of the Slice of Life Challenge. The more I wrote, the more I had to say! Writing begets writing. I need to remember this. I know it's true, because although I approach each March with trepidation, I find myself with lists longer than days to write long before the month is over. It's surprising, but true! I'm hanging onto your phrase, "..writing energy generates and perpetuates itself..."